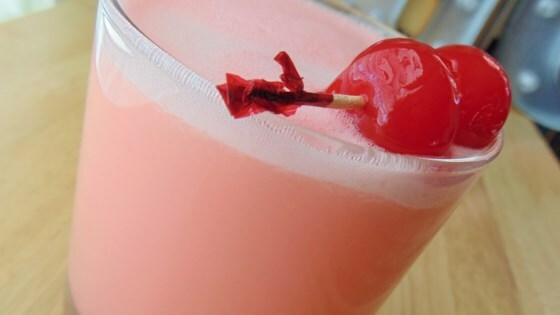 "A fun and delicious drink. Add more alcohol if you'd like!" Blend sherbet, pineapple juice, vodka, and schnapps in a blender until well combined, 10 to 15 seconds. Pour a splash of grenadine into 4 martini glasses. Pour drink mixture into each glass. See how to blend the perfect frozen margarita. I made one substitution--I used Whipped Cream flavored vodka instead of plain vanilla vodka. This is seriously one of the BEST cocktails I have had in a LONG time. My husband seconds this.